The two government parties disagree to the sale of further publicly held companies. ÖVP pushes for privatizations, for SPÖ the idea is inacceptable. Daily News-Flash of Vienna Stock Exchange: Upgrades and Downgrades, Winners and Losers. The trade union of post employees wants to lower the dividends. Privatization plans have not been discussed yet. Austrian companies try to find new investors in the U.S. The relatively small size of Vienna Stock Exchange and the euro-crisis make this difficult. CEO Georg Pölzl wants to invest € 100m in Eastern and Western European markets. The dividend might be raised to € 1.65 per share. 15 companies from Austria and CEE will participate in the conference on 28 November. Daily News-Flash from the Vienna Stock Exchange. Upgrades & Downgrades, Winners & Losers. Profit for the period came in lower than expected at €78.9m due to a provision amounting to € 20.0m for structural measures relating to the Parcel Division. 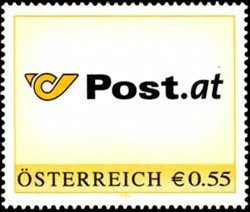 For the trade union, the staff policy of Austrian Post´s management is “not acceptable”. A deadline for CEO Pölzl is fixed by the trade union. Analysts expect Vienna-listed companies to report substantial lower profits. Even losses are feared. 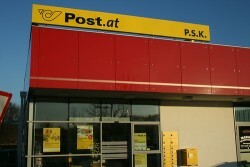 The deal includes an option for Austrian Post to become sole shareholder of the leading alternative postal service provider in Romania. Daily News-Flash from the Vienna Stock Exchange: Upgrades and Downgrades, Winners and Losers. Karlheinz Kopf calls for privatizations in the infrastructure sector. Last year, the Austrian state earned € 244m from its shareholdings. Declining letter mail volumes were offset by growth in the parcel business. Total revenue increased by 2.9%, EBIT rose 9.1% to € 81.3m. 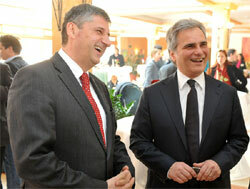 The Minister of Economics intends to reposition the Austrian state holding company. Markus Beyrer, the new CEO, is currently evaluating new concepts. The 2nd Austrian Equity Day in New York, co-organized with Crédit Agricole Cheuvreux, will be held on Monday, 6 June 2011. Daily News-Flash of the Vienna Stock Exchange: Upgrades & Downgrades, Winners & Losers. The Austrian state holding company will deliver about 250mby means of higher dividend payments to its owner, the Republic of Austria. Walter Hitzinger is appointed as director of the mail and retail division. Walter Oblin succeeds Rudolf Jettmar as CFO. 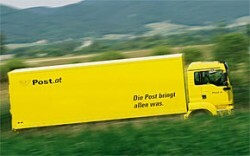 The Austrian Post is expanding its subsidiary Feibra. Letters are also to be sent in future. 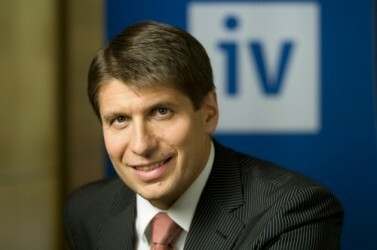 The so far Secretary General of the Industriellenvereinigung (Industrial Federation), Markus Beyrer, is Peter Michaelis’s successor on the board of the ÖIAG. Daily News-Flash from the Vienna Stock Exhchange: Upgrades & Downgrades, Winners & Losers. Daily News-Flash from the Vienna Stock Exchange: Upgrades & Downgrades, Winners and Losers. Simplification of internal processes should strengthen competitiveness and customer proximity. 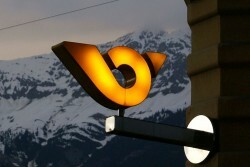 Investments in the common branch network of the Austrian Post and the U.S. fund Cerberus owned Bawag are running. The main index of the Vienna Stock Exchange experienced a strong rally in December. Thus, ATX outperformed compared to other European indices. 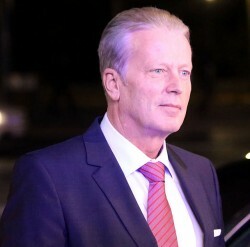 Peter Michaelis, the departing CEO of the Austrian state holding company (ÖIAG) is considering the sale of interest holdings.